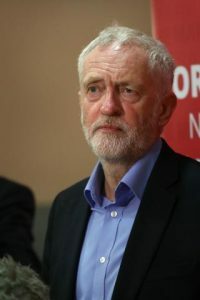 Labour’s unexpectedly strong performance in the June general election, coupled with the disarray in Conservative ranks, has prompted a growing number of wealthy people to take the prospect of a Corbyn government seriously. And given that the shadow chancellor John McDonnell has hinted that he would levy higher tax on people earning more than £80,000 a year, those in the potential firing line face the prospect of a race against time to shelter as much wealth as they can from the long arm of the taxman. With the help of a team of experts, Times Money highlights the areas that an incoming Corbyn government may target and offers a guide to making the most of existing tax reliefs. In its election manifesto Labour pledged to reintroduce the 50p tax rate on earnings above £123,000. Danny Cox of Hargreaves Lansdown, the wealth manager, reckons the top-rate threshold could be reduced from the present £150,000 a year to £80,000, given that Labour also pledged in the election that no one earning less than £80,000 would pay more tax. This looks vulnerable to a tax grab because the present rates of capital gains tax (CGT) are 10 per cent for basic rate and 20 per cent for higher-rate taxpayers, compared with 20 per cent and 40 per cent on income tax. Mr Cox suggests there could be a new top rate of 28 per cent and the present tax-free CGT allowance of £11,300 could be frozen or abolished for top-rate earners. George Bull of RSM UK, the tax consultant, says an incoming Labour chancellor could go farther and insist that capital gains are taxed at an individual’s income tax rate, rather than the lower CGT rates. Make the most of your existing CGT allowance and think about transferring assets to your spouse. Mr Hollands suggests parents with children at private schools could have a conversation with the bursar, if they are in a position to do so, about the possibility of paying fees in advance of any budget measure. The Conservatives have been steadily slashing away at the annual pension contributions allowance and the lifetime allowance (the maximum you can hold in your pot). Mr Hollands says there is no reason why an incoming Labour chancellor would not continue the reductions carried out by the Conservatives. Other experts reckon that Labour could also target the wealthy by removing higher-rate and top-rate tax relief on pension contributions and replacing them with a lower flat rate that would apply to all taxpayers. Make the maximum pension contributions you can afford to make the most of tax relief while the present system is in place. This could include a reversal of the recent extension of the inheritance tax (IHT) allowance on a couple’s main residence, allowing them to pass a greater part of their property to their children tax free. However, experts warn that increases in IHT tend to be very unpopular and any prospect of such a move will result in a big increase in the number of families looking to reduce their IHT exposure. Think about an earlier transfer of wealth to your children and grandchildren. If you make such a gift and survive for seven years after making it, it falls out of your estate for IHT purposes. Labour included a wealth tax as an option in its election manifesto, although it was not official party policy. It could bring in a wider-ranging version of the earlier “mansion tax” idea proposed by Vince Cable of the Liberal Democrats, and later taken up by Ed Miliband when he was the leader of the opposition. When setting the level of any such levy Mr Corbyn will have to be careful not to upset the neighbours in his own road in Islington, north London. According to Zoopla the average value of houses in his road is £945,000, so if the tax kicks in at £1 million many of the owners of these houses would be caught in the net. As above, you could start passing wealth down the generations, if you can afford to. ● You can earn up to £45,000 in a tax year before you pay the higher rate of 40 per cent tax, and £150,000 before you hit the 45 per cent tax rate. ● You can also benefit from a dividend allowance of £5,000 this tax year, although this will drop to £2,000 next year. Basic-rate taxpayers have a savings allowance of £1,000. It’s £500 for higher-rate taxpayers and zero for top-rate earners. ● You can make up to £11,300 of capital gains a year tax-free. Few people make full use of this allowance. ● You can put £20,000 into an individual savings account (Isa), including up to £4,000 in a Lifetime Isa if you’re under 40. ● You can contribute up to £40,000 a year to a pension (less for top-rate taxpayers) and receive tax relief on your contributions at the highest marginal rate. 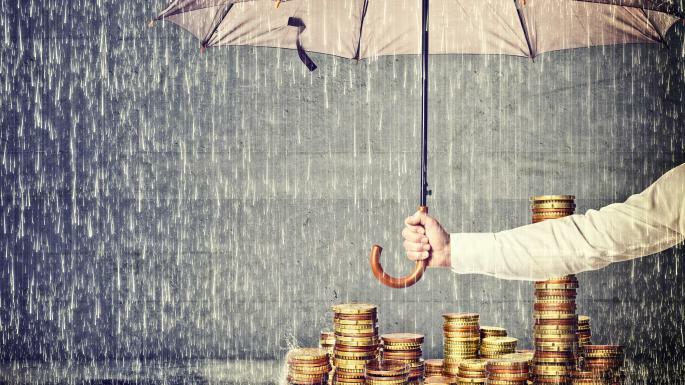 ● There are tax breaks for those wishing to put up to £200,000 into Venture Capital Trusts and up to £1 million in an Enterprise Investment Scheme. In both cases you will be investing in small start-up companies.